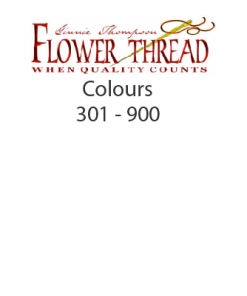 Ginnie Thompson threads are a matt 100% cotton used for embroidery on linen. The soft matt colours match natural dyes and the thread is as thick as two strands of six stranded cotton floss. 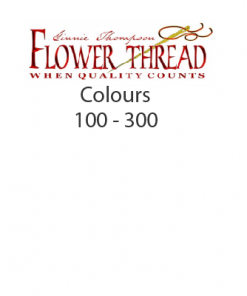 Ginnie Thompson Flower Threads are available in 105 colours. each wrapped on a card as a single thread.